I worked 59 productive hours last month. I watched Money Heist and Attack on Titan Season 3. I finished the second and started with the third chapter of my book Learn EOS Development. 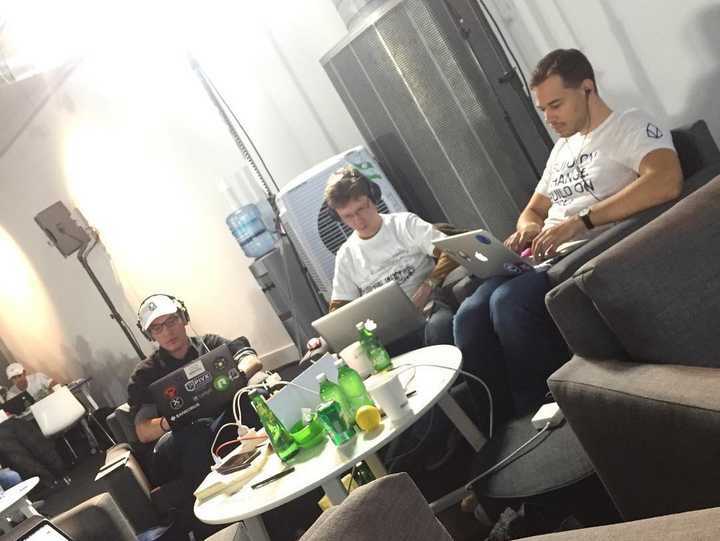 I didn’t write as much as I would have liked as I was at the EOS Hackathon in London. But it was totally worth it. The hackathon was the best I’ve ever been to, from the location (Science Museum), the EOS community, the free food, to the expensive swag (patagonia jacket + backpack). While we didn’t end up in the top 10, it was a lot of fun coming up with the project, coding it, and pitching it to the judges with the team in 24 hours. Total downloads of all my apps went up to 700 this month. I made an estimated 7.58€ (-11.38€) this way. My ad revenue went down to 44.35€ (-6.04€) for 45,000 AdMob banner impressions. In total, this month’s app income was 51.93€ (-17.42€). Sessions stayed at 10,562 on my website. I stuck to my bi-weekly schedule of releasing a blog post. The C++ chapter of my book was already finished and I just had to turn the sub-chapters into blog posts. My twitter followers increased by 10 to 328. I currently have 144 email subscribers for my book. That’s +36 in a month. I’m curious what my conversion rate will be. Full focus on the next chapters of the book. Write tutorials for free and link to my book. Collect email addresses. All while actually writing the book.